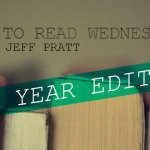 Want to know what director of LifeWay Student Ministry Ben Trueblood is reading? Josh Griffin is the high school pastor at Saddleback Church in CA. I appreciate his advice and tone in this article. It is something that resonated with me and gave me a quick jab of conviction to the face. 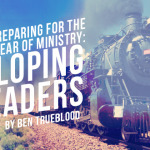 While this article isn’t written with a student ministry audience in mind specifically, the topic itself is something you are dealing with in each of your student ministries. The main point of the article, that one of the main ways Christians stood out from the surrounding culture in the second century was their distinctive sexual behavior, is still true today in the lives of your students. This issue is only going to get more complex for your students. 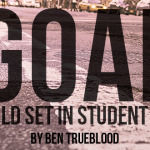 It is important for you to set goals in your life and in your ministry. If this isn’t a practice you are involved in, you need to be. In this article Eric Geiger offers some wisdom about setting goals and how those goals connect to leading a team. The thoughts here would apply to leading both paid and volunteer teams. Have you read something that’s changed your perspective lately? Share in the comments!